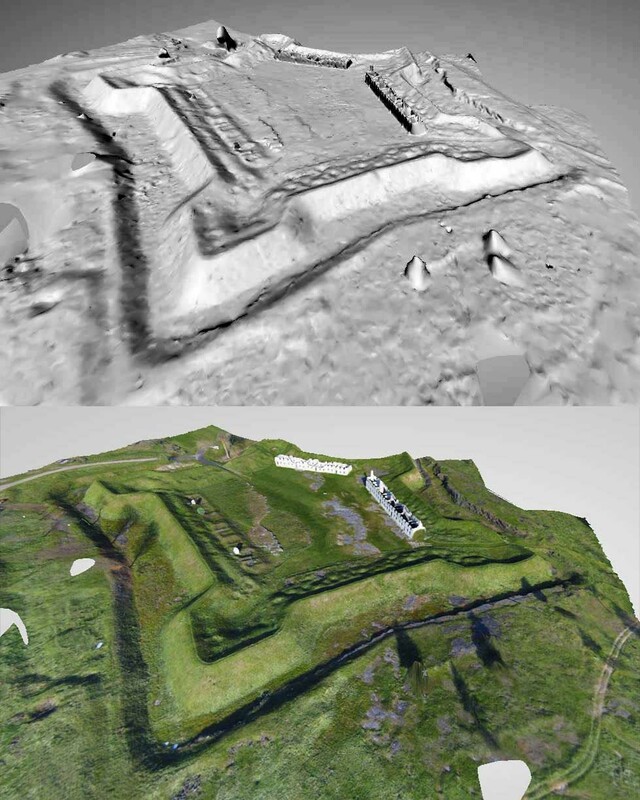 Above: Part of a 3D model (top) produced by ReCap 360 from 58 kite aerial photos and the same model textured with the photos (bottom). The models are made in "Preview" mode, not "Ultra" mode. Public Lab has received support from Autodesk, Inc. to use its software and training to improve the designs of aerial photography rigs and to produce 3D topographic models from aerial photographs. Autodesk created AutoCAD, the long time industry standard CAD (computer-aided design) program. They now have a large suite of engineering and design programs. Some of us will be using Autodesk's ReCap 360 which allows multiple photos of the same surface or object to be combined into 3D models. While we are waiting for training to begin, I installed ReCap 360 and determined that it apparently allows only laser and LIDAR scans to be combined into 3D models. The program linked me to an online version of ReCap 360 (free account required) which allows photos to be stitched together into 3D models. So I tried it on some old kite photos. 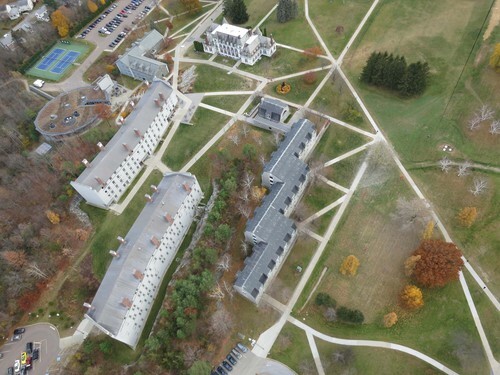 Above: One of 58 kite aerial photos submitted to ReCap 360. 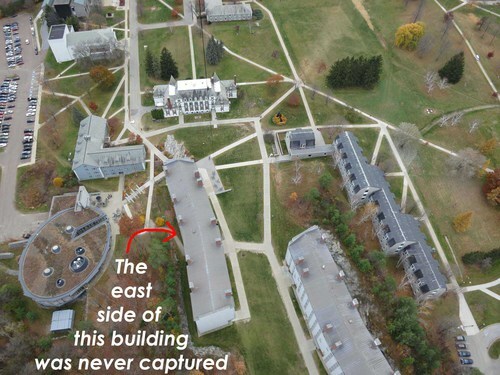 I walked the kite around these buildings so I was able to select photos which included views of the buildings from many different angles (but not every angle). Above: This is the easternmost aerial photo taken during the flight so ReCap 360 had no data about the east side of that building. I also submitted some older aerial photos to ReCap 360. 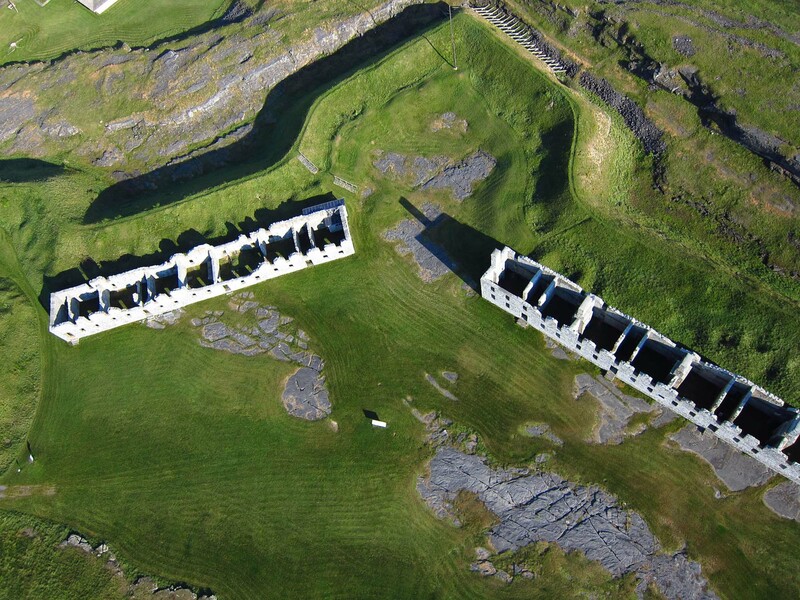 These were 2011 KAP photos from ruins of the 17th century British fort at Crown Point New York. These photos were taken using a Brooxes pan/tilt rig and CAMremote autoKAP controller lofted by a Levitation Delta kite. Stitched 360° panoramas from that flight can be seen here. Above: A couple of dozen KAP photos from 2011 were stitched together by ICE to reveal the plan of the British star fort. Some of these same photos, and many more, were submitted to ReCap 360 to make a 3D model of the fort. 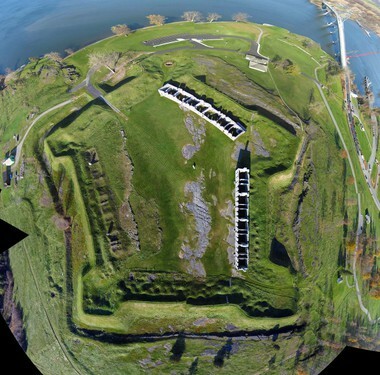 Above: One of the 35 photos stitched into a 3D model of the fort. The eastern wall of the earthworks (top left, in deep shadow) is not included in the current model. ReCap 360 could not include all of my photos in a model, so one side of the fort is not included. That might be because those photos were looking back into the afternoon sun. ReCap 360 allows control points on individual photos to be linked to other photos already stitched into the model, but I could not get that to work. So the model shown here is incomplete. Above: A shaded relief depiction of the 3D model (top) and the model textured with the aerial photos used to derive the model (bottom). There is no obvious way to get the completed mesh data, or any other data, from the site. Please tell me that is possible. Whoops, that's not a question. Is there a trick for adding new photos to an incompletely stitched model? Does the Windows version of ReCap 360 really not do photos (only scans)? How do you share a model with others? Does ReCap 360 use GPS data in the EXIF headers of the photos? What is the difference between ReCap 360 and Autodesk's 123D Catch? I was able to download the mesh from 123D catch. If it proves equivalent, then maybe that's the free way to get the model. We'll have to ask during our training, whenever they tell us that is. Mathew, their server is not being responsive. Maybe wait a while. thanks. and thanks for sharing the folder. I'm trying to put together the pole mapping assets I have into Recap for the group to work with.